Love streaming on the go with DStv Now? 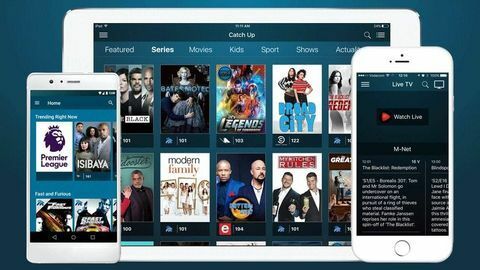 We explain how to be data savvy when using the DStv Now app. Let us show you how easy it is to manage your video quality settings and understand mobile data costs when using the DStv Now app for Android and iOS. The DStv Now app allows you to choose your video quality playback. 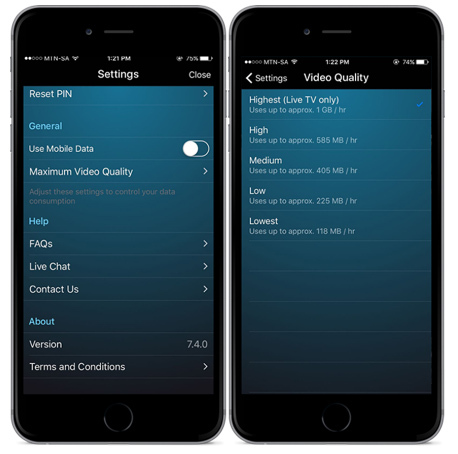 The video quality option can be found under the settings in the menu of the app: Settings > General > Maximum Video Quality. This will help you to still enjoy Live TV and Catch Up but avoid running out of data or receiving high data bills from your service provider if you don’t have an uncapped internet connection. Higher quality video uses more data. On a mobile phone you don’t need to use the higher quality settings on a smaller screen, which consumes more data. The higher quality settings are more relevant for larger screens like your laptop or TV when casting to this device. 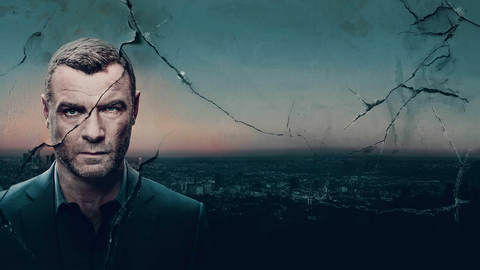 Depending on the type of show you are watching, if it is a cartoon series it could be on lower quality but if it’s a cool series or action movie you may want to watch in slightly better quality. The choice is yours on how you’d like to enjoy your viewing experience! As you can see, it’s easy to manage your data and still enjoy the best in series, movies, sport and kids content with the DStv Now app!